SKU: 7100CC Category: Hand Wind Extension Cord Reels Brand: Pro-Reel™. I’m pleased with the hand crank all steel constructed power cord reel. 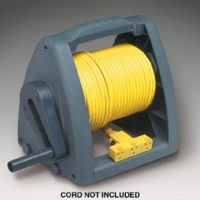 The cord guide bar, welded at the bottom of the stand, makes rewinding the 100-foot electrical cord easily back onto the reel. I use the power cord reel weekly to roll up the power cord after the lawn mowing. The all steel construction will save me money for not having to replace so many broken plastic cord reel. This is an excellent buy. 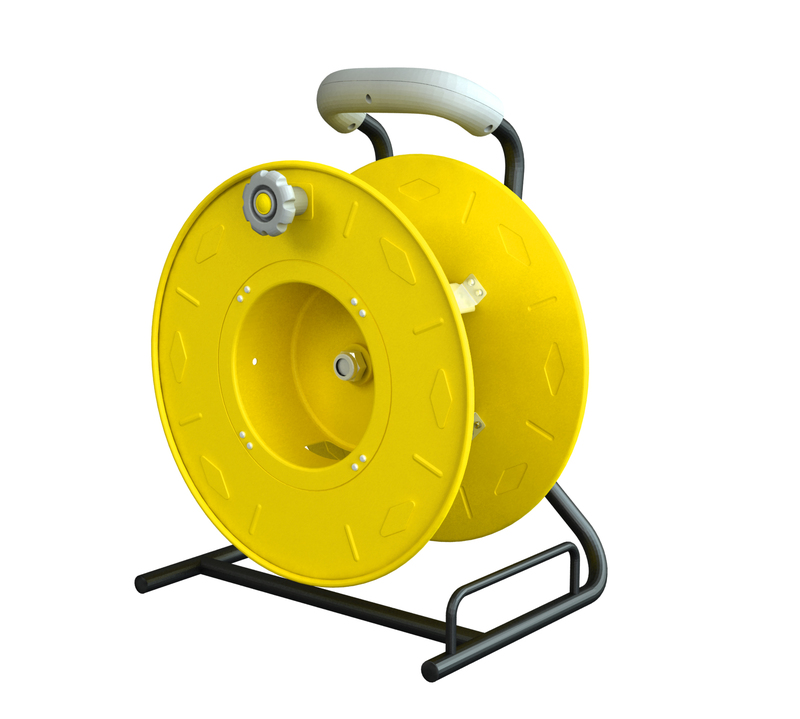 I was looking for a drum with a larger center ring for winding some High Frequency RG6 cable. The RG6 is a thicker cable and it is preferred to not roll it too tight. This is used for high definition SDI (Digital) video feeds. I am using 200 feet per reel and it fits very nicely (still room for more length).